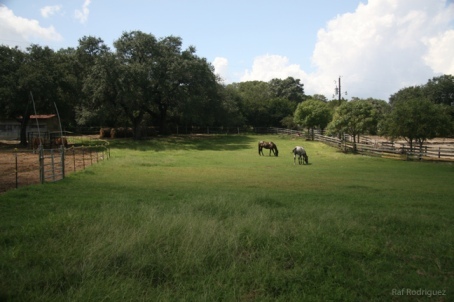 Spicewood Farms is located in Austin's scenic hill country, just 3 miles from the intersection of Capital of Texas Highway and Highway 183. 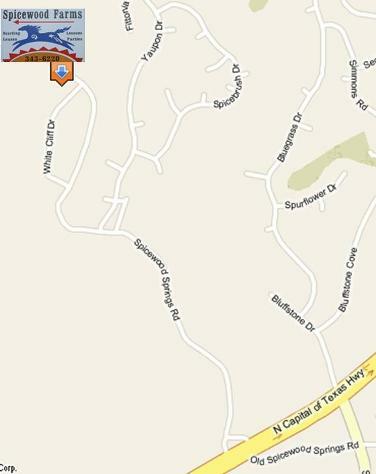 Our address is 6607 Spicewood Springs Road, Austin, TX 78759. Directions: From Capital of Texas Highway (360): Turn northwest onto Spicewood Springs Road. Follow Spicewood Springs Road for 1.2 miles. 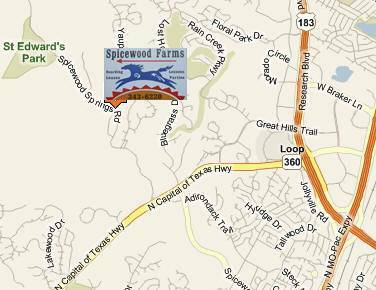 Look for the Spicewood Farms sign, our farm is on the left hand side of the road, at the corner of White Cliff and Spicewood Springs. Turn left onto White Cliff, the entry to our farm is on your right at the back of the property. Please park your vehicle inside our gate.